The deposition and growth of scale on the internal surface of oil & gas pipelines is a major challenge in the operation and maintenance of these lines. Pigging and chemical treatment are currently available solutions, but these are expensive, and a permanent passive alternative would be preferable. 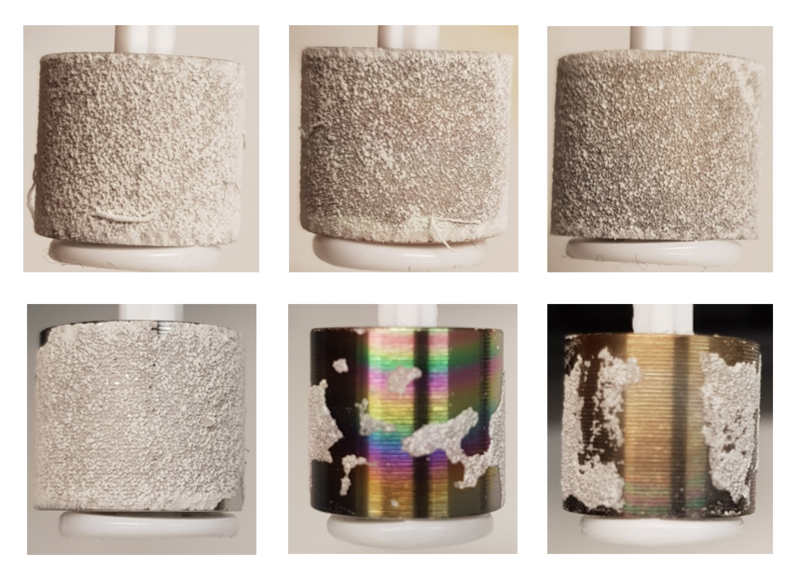 Diamond Like Coatings (DLC) have shown considerable promise, but the industry remains skeptical in the absence of conclusive evidence. This work addresses the question for a novel super hydrophobic DLC with a parametric evaluation of factors affecting adhesion and growth of common scale groups (such as Calcites and Barites) including surface finish of the substrate, metal composition, and thickness (or presence) of the coating, as well as the differing mechanisms of scale growth where applicable. The approach involves controlled deposition of inorganic scales onto rotational cylindrical electrodes (RCE) under varying conditions of temperature, solution chemistry, flow rates, followed by submerged jet impingement to quantify the corresponding deposit bond strengths and failure modes (cohesion vs. adhesion). Design of Experiments (DOE) methods are used to set and analyze the contribution of deposition and matrix factors simultaneously. 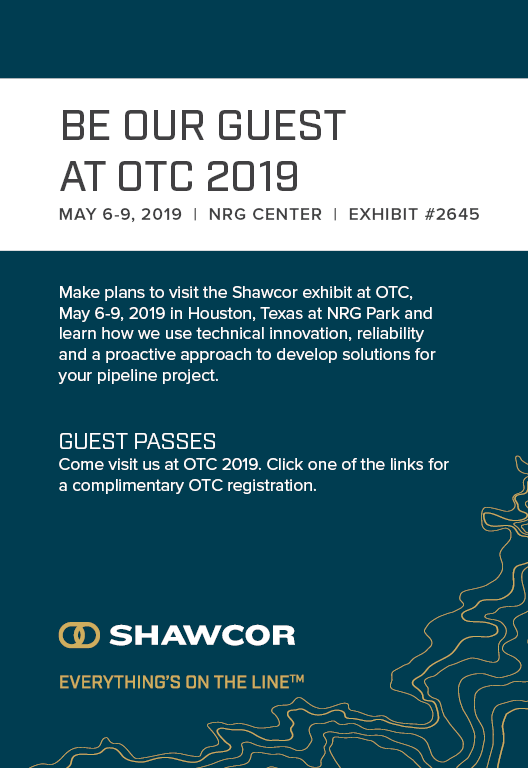 Please join Shawcor at OTC 2019. Click one of the links below to register yourself for a complimentary OTC guest pass. For help with registration, please contact Experient at 1.888.269.6829 (888-269-OTC9) (US and Canada only) or +1.847.996.5828, from 0900-1700 hours EST Monday-Friday, or by email otc@experient-inc.com. 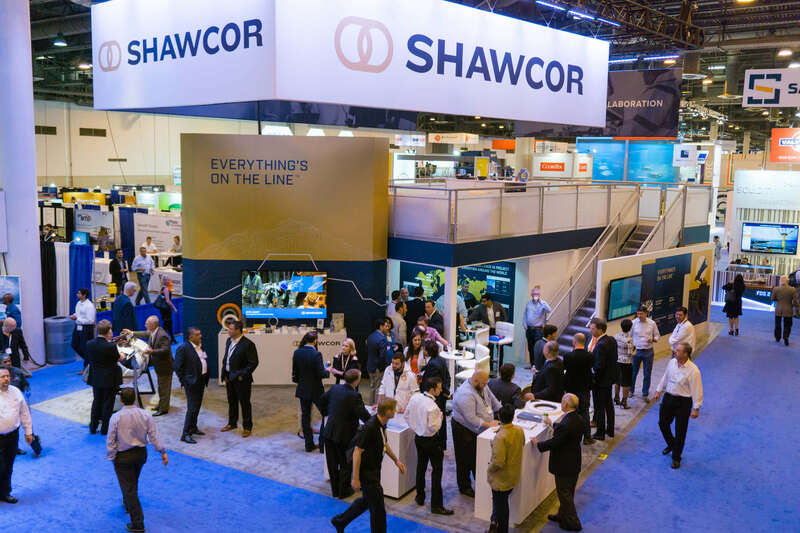 Visit the Shawcor booth (#2645) on the OTC exhibition floor for a closer look at these products and more. The Offshore Technology Conference (OTC) is where energy professionals meet to exchange ideas and opinions to advance scientific and technical knowledge for offshore resources.